Coming October 14, 2015. G’day mate, an Australian walking adventure! 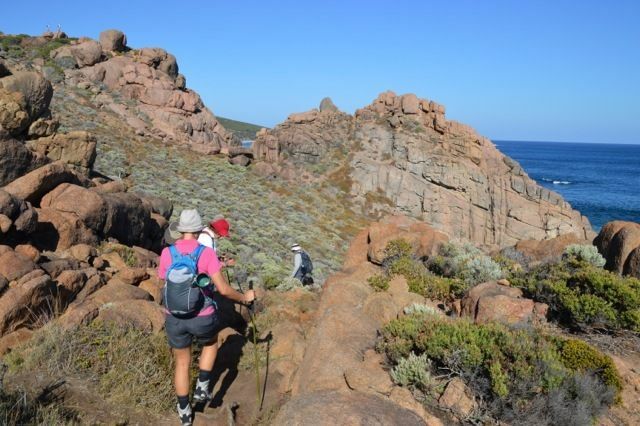 Join Lyn Taylor’s Adventure Travel for their 8-day All Women’s Cape to Cape Walk and explore the 135km Track along the Margaret River coastline. Departure in spring (yes, October is spring in Australia!) will allow for viewing of the glorious Western Australia wildflowers, and pleasant weather as you walk from 14 to 26km each day along cliff tops, deserted beaches, karri forest and beautiful rocky headlands. Accommodations, meals, professional guiding and support, local transportation, and even a back up vehicle will be provided. An outstanding way to experience one of the world’s great coastal trails.